Our faith can be like a child trying on a parent’s much too large dress shoes. We adore clumping around in them and long for the shoes to fit. As we cross over the bridge from child to adult we begin to see the shoes in a different light. The fit has improved, but we no longer find them attractive. We may decide to find new shoes—some that are more like us and a lot less like them. After her move back to America, her family joined a Presbyterian church and twelve-year-old Andrea stepped into the waters of baptism. The teen years followed and she developed pot holes of skepticism. This led to frequent intellectual debates with her father and ample opportunities to ask hard questions—ones that are generally thought, but left unspoken. When she moves into the college years, she comes to forks in her road of faith. Which path will she choose? As parents we attempt to pass our faith down to our children, much like our hand-me-down cars. It is only when we cross over the bridge of faith for ourselves that we find a faith that fits and we can walk in. 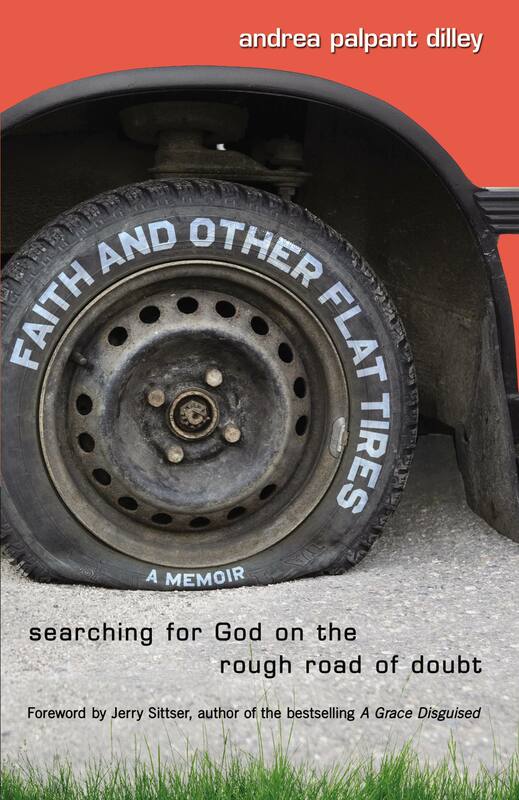 Faith and other Flat Tires is a refreshingly honest road trip home.